Advantage is applied to the back of the neck on cats and between the shoulder blades on dogs. It spreads naturally on the skin surface at the hair root level, aided by body movement to provide whole body coverage. 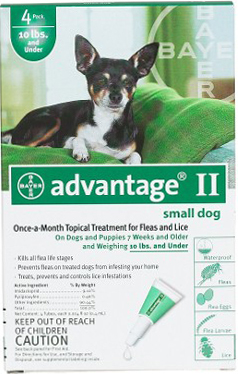 Advantage is water-resistant flea medication, so it continues to kill fleas even after shampooing, swimming, rain or exposure to sunlight. 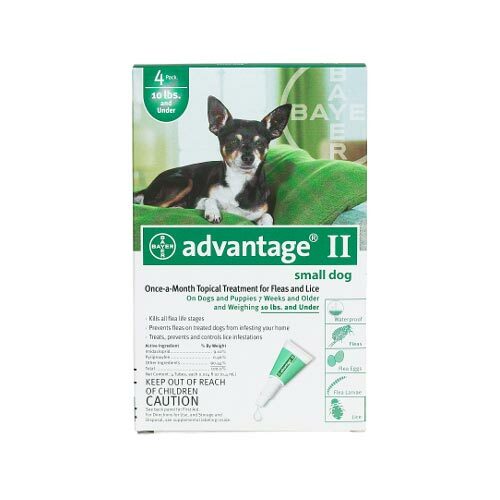 Advantage is for dogs over 7 weeks old. Do not use dog products on cats or cat products on dogs. 10" x 9" x 4"
7.5" x 4.3" x 1"